In a quiet summer evening, the Aurora, a 60ft cutter-rigged sloop, approaches the craggy shore of eastern Greenland, along what is known as the Forbidden Coast. 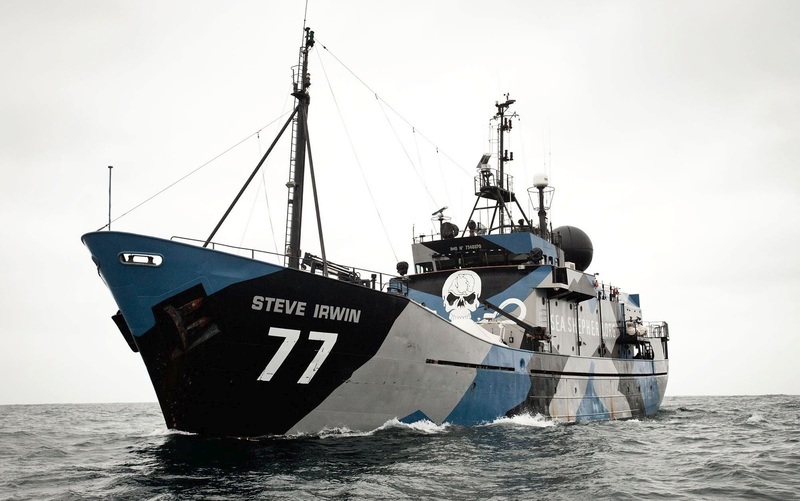 Its captain, Sigurdur Jonsson, a sturdy man in his 50s, stands carefully watching his charts. The waters he is entering have been described in navigation books as among “the most difficult in Greenland; the mountains rise almost vertically from the sea to form a narrow bulwark, with rifts through which active glaciers discharge quantities of ice, while numerous off-lying islets and rocks make navigation hazardous”. The sloop is single-masted, painted a cheery, cherry red. Icebergs float in ominous silence. Where Jonsson, who goes by Captain Siggi, sails, he is one of few to have ever gone. Because the splintered fjords create thousands of miles of uninhabited coastline, there has been little effort to map this region. “It’s practically uncharted,” he says. 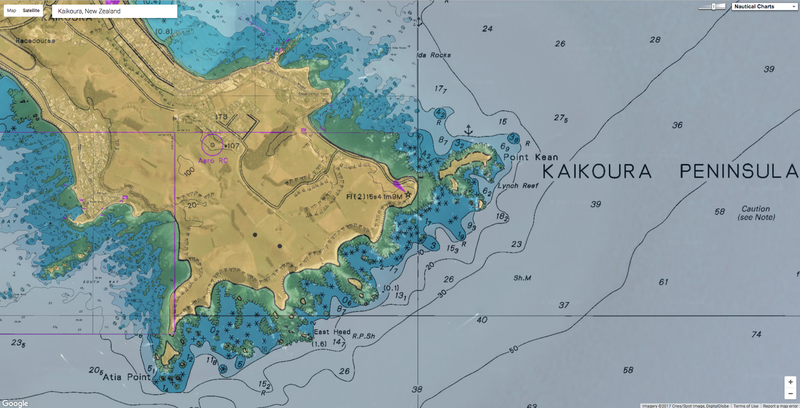 A naval architect turned explorer, Siggi navigates by scanning aerial photos and uploading them into a plotter, the ship’s electronic navigation system. Sometimes he uses satellite images, sometimes shots taken by Danish geologists from an open-cockpit plane in the 1930s, on one of the only comprehensive surveys of the coast. Siggi sails by comparing what he sees on the shore to these rough outlines. 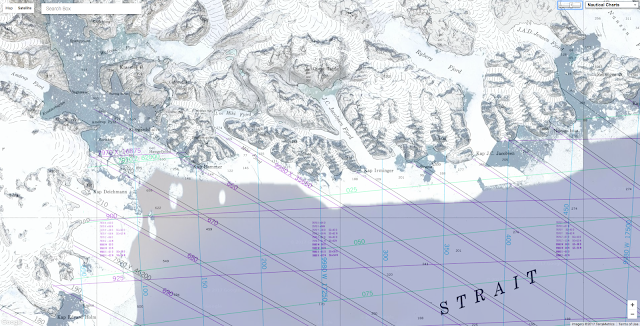 “Of course, then you don’t have any soundings,” he says, referring to charts of ocean depths that sailors normally rely on to navigate and avoid running aground. Over the years, he has got better at reading the landscape to look for clues. He looks for river mouths, for example, where silt deposits might create shallow places to anchor, so that icebergs will go to ground before they crush the boat. In the age of GPS and Google Maps, it’s rare to meet someone who still entrusts his life to such analogue navigation. Even when Siggi is retracing his own steps, the landscape of the Forbidden Coast is constantly changing. “Where the glaciers have disappeared,” he explains, pointing at washes of green on a creased, hand-drawn chart, “a peninsula turns out to be an island. It was actually sea where you thought there was land.” To account for this, he often trades notes with local hunters, who are similarly adept at reading the coast. “Their language is very descriptive,” Siggi explains. “So all the names of places mean something.” Although locations may have official Danish names, they are often ignored. An island technically called Kraemer, for instance, in East Greenlandic means “the place that looks like the harness for a dog’s snout”. Until a century ago, Greenlandic hunters would cut maps out of driftwood. “The wooden part would be the fjord, so it would be a mirror image,” Siggi says. These driftwood sculptures were first recorded by a Danish expedition in the 1880s, along with bas-relief versions of fjords, carefully grooved and bevelled to represent headland depths. A Danish ethnologist, Gustav Holm, noted that notched into the wood, “the map likewise indicates where a kayak can be carried” when the path between fjords is blocked by ice. Unlike drawings, the contoured wood could be felt by hand – useful in a region where the sun disappears for months at a time. As a source of information, a map is always a way of groping through the darkness of the unknown. But locating yourself in space has never been cartography’s sole function: like these driftwood pieces, maps inevitably chart how cultures perceive not only their landscapes but their lives. “Everything we do is some kind of spatial interaction with objects or ourselves,” says John Hessler, a specialist in geographic information systems at the Library of Congress in Washington DC. For the last few decades, Hessler has been conducting research in the library’s map collection – the largest in the world – in stacks the lengths of football fields. “Geographic information systems have revolutionised everything,” he says. Explorers have long filled in our understanding of the world, using and then discarding the sextant, the compass, MapQuest. “The project of mapping the Earth properly is to some extent complete,” Hessler says. But while there are no longer dragons fleshing out far-flung places, a surprising number of spaces are still uncharted – and the locations we have discovered to explore have only expanded. “Where we were just trying to accurately map terrestrial space,” Hessler says, we have moved into a “metaphor for how we live. From mapping the dark between stars to the patterns of disease outbreaks, who is making maps today, and what those maps are used for, says a lot about the modern world. “Now anything can be mapped,” says Hessler. Sigurdur Jonsson looks at maps of the Greenland coast on his boat, the Aurora. The Amundsen-Scott South Pole Station sits on the Earth’s axis, at an altitude just above 9,000ft, in the world’s largest, coldest desert, where a small settlement of metal shipping containers takes shape in rows on a windblown sheet of continental ice. Heavy equipment beeps in the polar air. In these harsh conditions, Naoko Kurahashi Neilson has been trying to map black holes. It’s a thorny problem: how do you map something you cannot see? Normally, when you look up at the sky and see a star, “the star emitted a light particle called a photon that travelled millions of years and ended up in your eyeball”, Kurahashi Neilson explains. But photons, like almost everything else, cannot escape a black hole’s gravity. Among the only things that can are tiny, high-energy particles called neutrinos, which do not often interact with other matter – trillions of them pass through our bodies every second. So detecting neutrinos requires using a massive object. Kurahashi Neilson, for example, began looking for them by using the ocean itself. “Very high-energy neutrinos make a splash when they enter water,” she says. To detect those splashes, she installed highly sensitive microphones in the waters off the Bahamas, but soon realised that she would need much better equipment. The answer was at the South Pole Station, amid the summer chaos when scientists around the world flock to take advantage of the short season. Kurahashi Neilson joined the team running the IceCube South Pole Neutrino Observatory, where scientists have created a particle detector so large it covers a cubic kilometre, with sensors buried beneath a mile and a half of ice. As part of her job researching neutrinos, she needed to upgrade the computers. When neutrinos are detected, the information is reported back to a massive collection centre that scientists around the world can access. However, there is no easy way for scientists in, say, Wisconsin, to communicate with the computers at the South Pole. The internet for the South Pole Station comes from satellites, which, in polar regions, often orbit below the horizon. 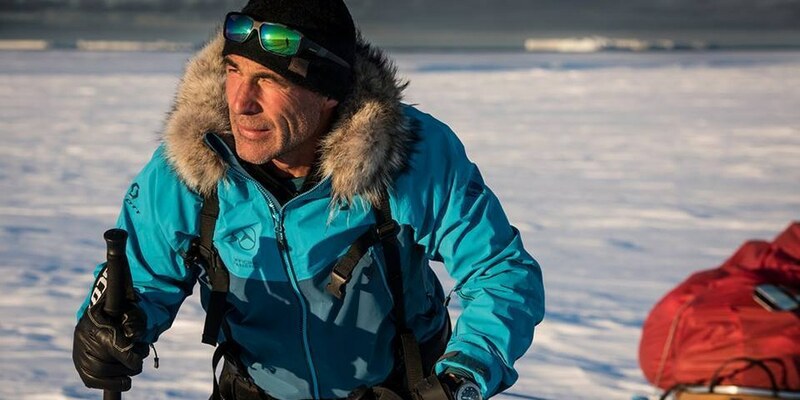 “Most of the day, you can’t connect from the South Pole to the outside world,” says Kurahashi Neilson. As an assistant professor at Drexel University in Philadelphia, Kurahashi Neilson is using these tiny particles to study the biggest ideas. She hopes that mapping where neutrinos come from will lead to the discovery of new black holes, and possibly explain what physical processes take place inside them. Because the majority of neutrinos were created around 14bn years ago, shortly after the birth of the universe, this might help answer a fairly fundamental question: what are the conditions that create energy? “The only way to study something you can’t go to or touch is to look at it in many different ways,” Kurahashi Neilson says. “The funny thing is, if you map the universe in optical light – what humans see – or gamma rays, or radio rays, our universe doesn’t look the same. Whether on the Forbidden Coast or tracking neutrinos at the South Pole, this curiosity – to compare, to see something no one has seen before – is a fairly basic human compulsion. That’s why Robert Becker – a radio astronomer who has recently retired from the University of California, Davis – got into physics. When he started studying astronomy, the only map of the entire sky was a simple contour map, like the ones used for hiking. In the 1990s, Becker decided to conduct a Very Large Array radio survey – using radio waves to map the sky in much greater detail – finding scores of new phenomena. In most other areas of science, a question leads to an experiment that tests a hypothesis. In astronomy, you cannot conduct experiments. “We can’t build new stars,” Becker explains. The goal is to create a catalogue of the sky, which is essentially a record of all the ongoing experiments in space. “In an infinite universe, all things that can happen will happen,” Becker says, paraphrasing Douglas Adams. He’s not being cute; this is one of the fundamental principles of quantum physics. We can only observe as far as light has had the chance to travel in the 13.7bn years since the big bang. But space-time extends far beyond that. Because there are only a finite number of ways particles can be arranged, at some point patterns start repeating, even if we cannot detect them. The principle suggests that, in all likelihood, there are many other universes besides our own, coexisting in a kind of cosmic patchwork quilt. If we could look far enough, we would encounter other versions of ourselves – actually, infinite versions. “So all the possible experiments are already out there, it’s just a question of finding them and watching,” Becker says. Hypothetically, a perfect map would “facilitate all the questions astronomers have”. Of course, we do not yet have the equipment to observe even a fraction of the universe we are in, never mind others. In 1995, Becker surveyed 25% of the sky with a radio telescope array, making the galaxy accessible to astronomers through an image that was more accurate than those that previous arrays could provide. Though a quarter of the sky doesn’t sound like much, it was such a monumental project that, along with the results, he published an image of his head superimposed on to Michelangelo’s Adam touching the hand of God. According to Becker, astronomers one day hope to have surveys like this from every part of the electromagnetic spectrum. “Once you make an image, you’ll find a whole bunch of new phenomena. Every new survey opens new dimensions,” he says – and he means this literally. In physics, Becker explains, “most of what we take for granted today wasn’t dreamed of 30 years ago. It’s like science fiction – dark matter, gravitational waves, quantum entanglement”. Since he began mapping the sky, for example, we have learned to predict where black holes are through their gravitational pull – if they’re orbiting a star, the star wobbles. “Any time you talk about black holes, you’re on the verge of science fiction,” he says. In much the same way that early explorers stretched the human imagination, astronomy continues to push the limits of our understanding of creation itself, requiring a kind of faith. As Becker notes, more data usually just gives rise to even more questions. If you could somehow drain the seas, scientists predict you would see not sea monsters but a few volcanoes sprouting from an immense, flat floor, which is hundreds of thousands of hills covered by millennia of falling sediment. Because of these cloaking deposits, developing a better map of the ocean could shed light on the distant past. “It’s one of the most complete records of history on Earth,” says Alan Mix, an oceanographer at Oregon State University. The problem is that this wealth of information lies submerged just out of reach. Because satellites cannot read through water, mapping the sea has been much more difficult than mapping land. In the meantime, we work with best guesses. 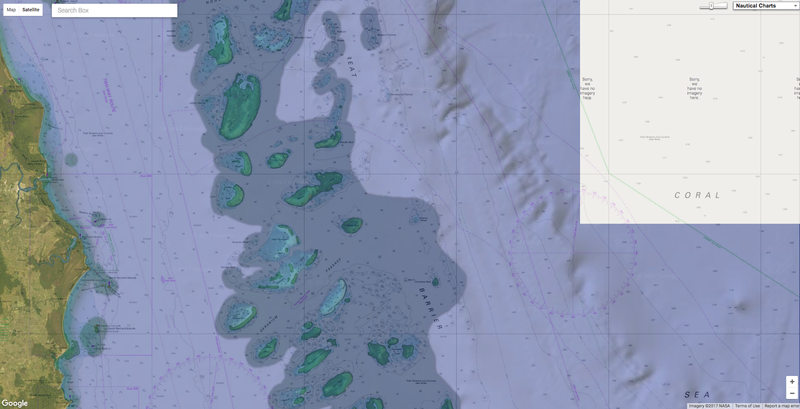 On Google Earth, for example, the sea floor appears to be mapped, displaying mountain ranges and submerged islands, but these shapes are actually based on inferred data. “It’s an interpreted map,” Mix explains. Because a mountain on the bottom of the ocean has a lot of mass, its gravity pulls on the water around it, causing a dip in the surface that a satellite can observe. “But it’s like looking through a bad pair of glasses,” Mix says. Deep-sea submersibles, now the tool regularly used to map the ocean floor, were not invented until the 1930s. 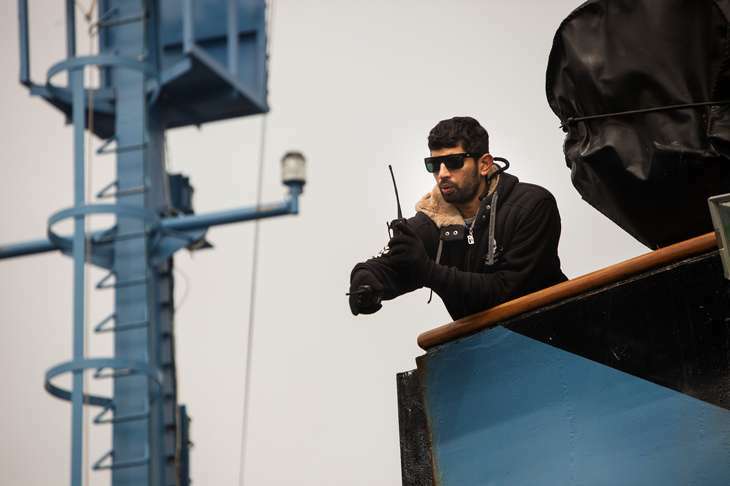 Their utility expanded with the ability to be operated remotely as an unmanned, robotic craft. In the 1980s, the US navy recruited the scientist Robert Ballard to push the limits of remote-controlled submersibles to find two nuclear submarines that had gone missing during the height of the cold war. They cloaked the top-secret mission as an attempt to find the Titanic – which Ballard finally did, during the last 12 days of the expedition, using what he had learned while looking for the submarines. Since then, Ballard’s idea of deploying remote-controlled robots closer to the bottom of the sea has become standard practice. But the ocean is huge and submersibles can only travel so far. Even today, only about 17% of the ocean has been mapped with sonar, meaning that a ship or submersible has physically driven back and forth over the ocean floor in a grid, like mowing a lawn. Still, as our knowledge of the ocean floor slowly expands, what scientists learn about ancient history could prove crucial for the future. 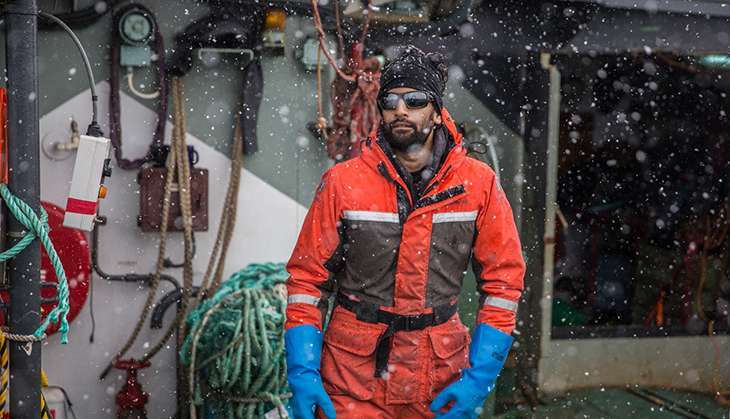 Mix, for example, has spent the better part of a decade studying the bottom of the sea near the Petermann glacier, an enormous ice sheet on the north-west coast of Greenland, across the island from where Captain Siggi sails. Ice flows across bedrock as it melts and refreezes throughout the year, draining rivers off the Petermann glacier into the sea. The rate of Petermann’s melt over the last five years has changed dramatically. Mix explains that the ice shelf “acts like the flying buttress of a cathedral. The ice in the ocean helps hold ice back on land. So when it shrinks, it’s easier for the ice to go out into the ocean,” catalysing the already increasing rate of melt. To make his map, Mix sent an icebreaking ship as close as he dared to the glacier, using sonar signals to chart the glacier’s historical path by recording the marks “scraped like sandpaper on steroids” along the bottom. Radiocarbon dating on samples suggests how fast the glacier once moved. These streams of information have been combined by Larry Mayer, director of the School of Marine Science and Ocean Engineering at the University of New Hampshire, who developed a 3D visualisation tool for the expedition. Like a first-person-viewer video game, it takes all the data and turns it into an image “like flying over the landscape on the seafloor”, Mix says. The new maps Mix’s team have created suggest that “actual change events [such as catastrophic ice melt] may happen on very human time scales. Civilisation is built on the assumption that tomorrow will be kind of like today. That has been true since the advent of agriculture. Once that tipping point has been reached, the seas will rise so dramatically that for the next thousand years, humans would have to continuously move away from the ocean. The block of ice bigger than Manhattan that broke off the Petermann glacier in 2012. This summer, Mayer took his 3D visualisation tool on an icebreaker up to the Arctic as part of a project to map the ocean floor for the US government. Under the Law of the Sea treaty, Mayer explains, “you’re allowed to establish sovereign rights 200 nautical miles into the sea”. But if the sea floor has certain morphological characteristics, the country’s territory can be extended beyond that 200 nautical-mile limit, into an area called the extended continental shelf. As the rush to claim the Arctic begins – Russia has symbolically staked its claim to recently discovered oil reserves by planting a titanium flag in the bottom of the Arctic Ocean – maps such as this will be a crucial part of the manoeuvring. Even when not displaying contested territory, making a map is inherently political. Mapping a round thing in two dimensions is difficult: imagine flattening the unbroken peel of an orange and trying to connect the edges. “In order to make a map, you have to give something up,” says John Hessler. The decision of which variable to hold true – distance or area or shape or scale – is called a projection, and every one of them distorts the surface of the Earth in some capacity. The world maps you probably remember from school are Mercator projections, where Greenland appears larger than Africa – a continent 14 times the island’s size – in order to preserve the accuracy of angles. In the 1960s, Arno Peter created a map that looks strangely elongated in comparison, preserving a more accurate sense of scale. Now called the Peters projection, “he thought [it] had a better sense of equality for third world countries”, Hessler explains. Since then, the number of potential projections has only expanded. Which distortion of the world works best depends on what you think is important. On January 12, 2010, the epicentre of Haiti’s 7.0 magnitude earthquake registered just 15 miles from the country’s capital. By the time the aftershocks ceased, Port-au-Prince was left in ruins. Hundreds of thousands died, and many of the survivors had nowhere to go; 1.5 million people lost their homes overnight. Over the following days and weeks, healthcare workers and UN troops from around the world flocked to the country to aid those affected by the earthquake, bringing a strain of the cholera virus that ultimately triggered one of the worst epidemics in recent history. Until then, Haiti was an epidemiologically naive population, an island with no previous encounter with this particular strain of cholera, and therefore possessing no innate resistance. There were many places that medical personnel were unable to reach. Where aid workers were able to estimate rates, 5% of the population contracted the disease, and without treatment, 40% of those patients died. Health centres struggled to keep up with the caseload, triaging people in tents. Those in acute stages of the illness lay in cots with holes cut in them and a bucket underneath. “Every patient that walked in, we asked them where they were from,” recalls Ivan Gayton, the head of mission for Doctors Without Borders (MSF) in Haiti during the cholera outbreak. It may seem like common sense, but it wasn’t until 1854 that doctors thought to map disease outbreaks. Like Haiti in 2010, London was suffering a severe cholera epidemic when a physician named John Snow plotted the addresses of cases on to a simple street map. “He went door to door knocking, asked everyone where they were getting their water from,” Gayton explains. When Snow saw the clusters, it became clear certain water pumps were spreading the disease. It was the foundational moment of epidemiology. “It was a stunningly important moment in medicine,” Gayton says. More than a century and a half later in Haiti, MSF doctors could not even do that. Though everyone being treated in Haitian clinics was asked where they were from, the information proved confounding, since none of the informal neighbourhoods and slums in Haiti were adequately mapped. Doctors lacked the ability to connect the place names with geographical coordinates. “It was effectively being recorded in random syllables,” Gayton says. Though staff tried to record cases in a spreadsheet, without locations, doctors could not tell if cases were adjacent to one another or on opposite sides of the city, making it difficult to trace or stop the sources of infection. “We couldn’t do our job,” says Pete Masters, the Missing Maps project coordinator at MSF. At the peak of the outbreak, Gayton was wandering through the hallway of a clinic and spotted a colleague, Maya Allan, crouched on a windowsill with a laptop. “She was trying to place pins [of cholera cases] on Google Earth by hand,” Gayton says. Frustrated, he thought there had to be a better way. So he called Google, which was “like calling the Batcave”. A few days later, Google software engineer Pablo Mayrgundter flew to Port-au-Prince, bringing with him Google Earth programs and map data downloaded on to hard drives so he could work in the field without the internet. He trained Haitians how to use GPS units, then sent them into neighbourhoods to get latitude and longitude coordinates for Haitian place names. Google’s engineers were aided by a group called the Humanitarian OpenStreetMap (Hot) team – “Earthquake nerds, looking at the TV, looking at the street map of Port-au-Prince, and realising there’s nothing there,” Masters says. After the earthquake, the group coordinated with members of the Haitian diaspora to map Haiti’s slums and identify local landmarks for the first time. Within 72 hours of the earthquake, search-and-rescue teams were using their maps. Together, Google and Hot worked to geolocate all of the information they had gathered and to write a script to import the case records. Suddenly, the MSF patient list could be transformed into an animated map of cases. “Boom. All of a sudden, we could do what Snow did years ago,” Gayton says. A couple of days after the Google team left, Gayton was able to pinpoint a water outage in a neighbourhood where cholera cases had suddenly jumped. After notifying the water utility, workers were dispatched to the site to make repairs. “Fewer people were dying because a map allowed us to correlate a spike in cases to a specific event,” Gayton says. Following the project’s success in Haiti, Gayton was invited to MSF headquarters in London to try to set up a system for mapping other disasters. It didn’t work, mainly because reactive mapping, it turns out, can’t possibly keep up with the scale and speed of humanitarian disasters. “Because of the horrible earthquake, HOT volunteer mapping got done [before the cholera crisis],” Gayton says. During the Ebola crisis in west Africa, cases moved too swiftly for maps to be created of all of the areas that the virus reached. What is needed is proactive mapping on a continental scale, of all vulnerable areas. That’s why Gayton helped coordinate Missing Maps, a collaboration between existing aid groups and volunteers using open-source data to map places where crises are likely to occur. The organisation holds “mapathons”, where volunteers connect to people in the field. “Take names of streets,” Gayton says. “You’re on the Avenue of Church – there are 200 of those in Lubumbashi. You have to trace it, have to have imagery, have to go into the field and get names, and then integrate all of that into a nice visual map.” He describes the process as being similar to fitting a Russian doll together. “I like maps,” Gayton says. “But really what I care about is equitable distribution of healthcare. As long as 1 billion people don’t have it, sooner or later it’ll come and bite people in rich countries.” He scoffs at the idea that there are no blank spaces left on Earth. “Anyone who says the world is mapped, ask them to show you where the population of Congo is living. Ask them where the villages are. To Gayton, it’s not an idle distinction. “When you have a place like South Sudan, where millions of people live and die without ever figuring in a database anywhere, their names will never be written down. That’s what Missing Maps is about. “We still don’t know who they are, but at least we know where their house is. At least the map actually contains them, rather than a blank wash of green,” Gayton says. Things don’t exist just because we name them, but giving them a name engenders new meaning. At its most basic, to exist on a map is to have value. “Our best way of sharing knowledge – whether it’s a physical representation of land or an energy space variable – it’s a map,” says Naoko Kurahashi Neilson. “Every scientific analysis produces maps or visual plots to look at. By building narratives that orient us – not only where we are physically standing, but in the past and future – maps are an instinctual way of ordering chaos, of turning stars to constellations and glacial scratches to predictions. “A map in the hands of a pilot is a testimony to a man’s faith in other men; it is a symbol of confidence and trust. It is not like a printed page that bears mere words,” wrote Beryl Markham in the 1940s, shortly after becoming the first woman to fly solo across the Atlantic from the east to the west. The daughter of a colonial horse trainer, Markham grew up hunting barefoot with the Nandi, and learned to fly a plane when there were only a few in all of Africa. In early September 1936, Markham took off in a turquoise-and-silver Gull, with what she hoped was enough fuel to make it across the Atlantic. 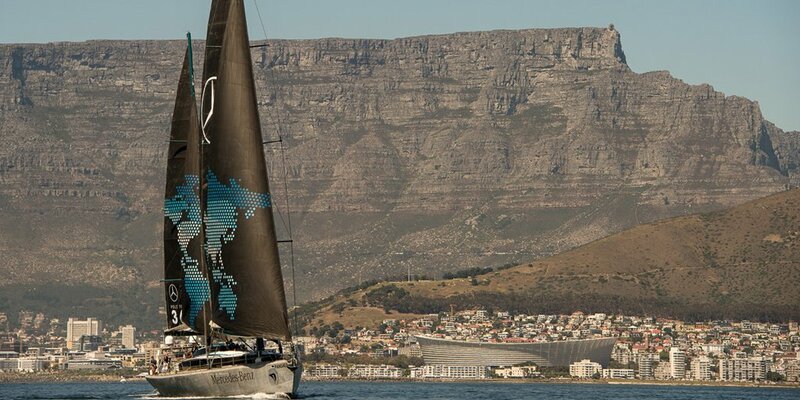 She flew for more than 21 hours across the open ocean, mostly in the dark. Since Markham’s record-breaking flight, we’ve sent a spaceship to the edge of the solar system. As technology shrinks the world, the concept of nothingness can feel obsolete; our very understanding of distance has fundamentally changed. But that doesn’t mean small spaces can no longer be large enough to get lost in. Several fjords over from Captain Siggi’s winter anchorage in Iceland, a pot-holed gravel road winds steeply up a mountain. Beyond the summit, a valley plunges into the sea. An Arctic fox pads silently downhill. Sheep graze over the moss and late blueberries. On the beach, waves eat away at the walls of an ancient sod-and-stone house. After generations of farmers ploughing a living into this stony plain, only a single woman, Betty, remains. The road to her valley is closed for half the year; the rare visitor arrives only by snowmobile. Betty’s TV cable went out two years ago, and the telephone doesn’t work in the rain. She cares for the family church, where baptisms and deaths have been recorded for centuries, an imposition of will into a world that will exist without us. On winter nights when the northern lights come out, she piles on hand-knitted sweaters and stomps down to the beach to watch the sky perform. In humans, the phenomenon is subtle, but place just as surely moulds what used to be called character. When Betty leaves the valley, these hills will be mapped, though no one will know their wind and their weather. Until then, when the sheep give birth in the spring, she’ll watch over the miracle. If one day the distant universe is as mundane as the road that leads to our doors, even in the most familiar, there will always be wonder. It’s where all exploration begins. 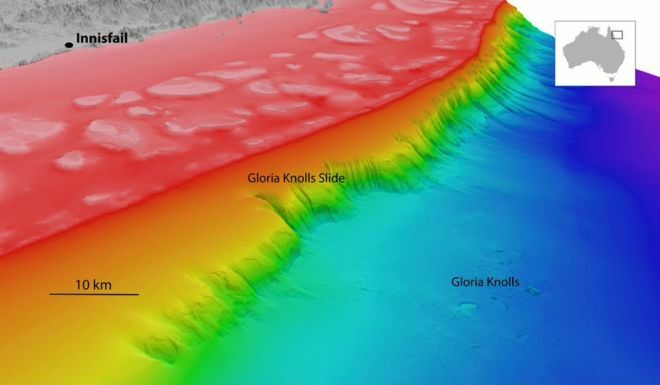 Scientists have discovered evidence of a massive ancient undersea landslide next to Australia's Great Barrier Reef. The Queensland Basin is a north-south trending extensional basin located off the north Queensland coast between Cape York and Townsville. It lies largely beneath the bathymetric feature known as the Queensland Trough, seaward of the Great Barrier Reef. The Queensland Basin is about 1100 km long, and 50 to 150 km wide. The basin is poorly defined in some areas due to lack of data, particularly in its southern part, between the Queensland coast and the Marion Plateau. Fly-through of the largest-ever undersea landslide found along the entire margin/slope bordering the Great Barrier Reef, in far north Queensland. The scientists – including from the University of Sydney, James Cook University and the University of Granada – went on to model a potential tsunami for a sudden under-sea mass failure on this scale, yielding a wave elevation of about 27m. It is believed that the impact of any resultant wave would be softened significantly by the presence of the relatively modern, 9000-year-old formation we call the Great Barrier Reef, but this remains to be assessed systematically. More seabed mapping and sampling is also needed to locate, characterize and determine the timing at which the landslides occurred. 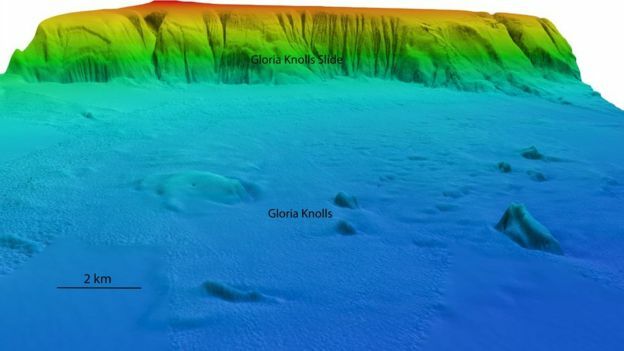 Dr Robin Beaman, from Australia's James Cook University, said the researchers located a cluster of hills, or knolls, more than 1,100m beneath the surface. "What we discovered was the smoking gun," he told the BBC. "It was quite clear that those knolls were the remains of a very large undersea landslide that had occurred some time ago." He described it as "catastrophic collapse" because the knolls - as long as 3.6km (2.2 miles) - were found 30km from their original location. The research, published in the journal Marine Geology, said the landslide had the potential to cause a large tsunami. Although modelling had put its elevation as high as 27m, the impact of a tsunami would have been significantly offset by the presence of coral reefs. "The Great Barrier Reef acts like a giant porous breakwater to reduce the energy [of ocean swell]," said Dr Beaman. "If it was in existence at the time of this landslide, it would have done a similar job." He said future risk to the Queensland coast appeared unlikely because it was a "a very old event", but it was a worthy topic for future research. The researchers found deep marine life including cold-water corals, molluscs and barnacles were thriving on the knolls. The corals, unlike their shallow reef counterparts, could survive in 4C temperatures with no sunlight, Dr Beaman said. He said possibilities for future research were exciting. "That really is the next frontier," he said. "We probably have a bit of an idea of what's living up to 200m or 300m [deep], but beyond that, very few people have done much work in this area." 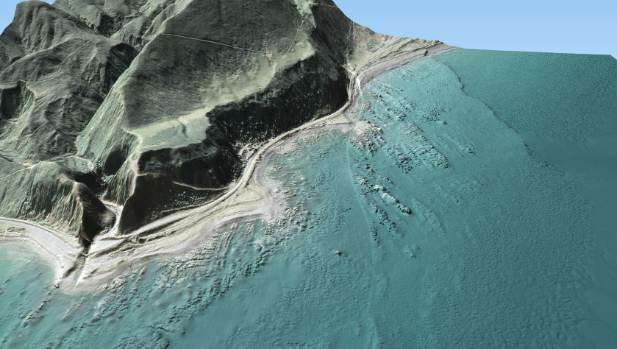 A 3D generated image showing the newly-raised sea floor, pictured here between the faultline furthest to right and the one in the centre. 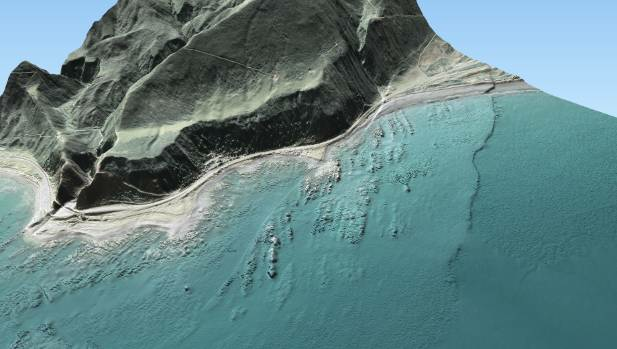 New maps created with 3-D technology show the effect of the Kaikoura earthquake on the sea floor, demonstrating that the monumental damage of the earthquake wasn't localised to land. Cracked roads, displaced land and ruptured landmarks have been a fixture in Kaikoura after the quake, but the seabed wasn't immune to the seismological disruptions. 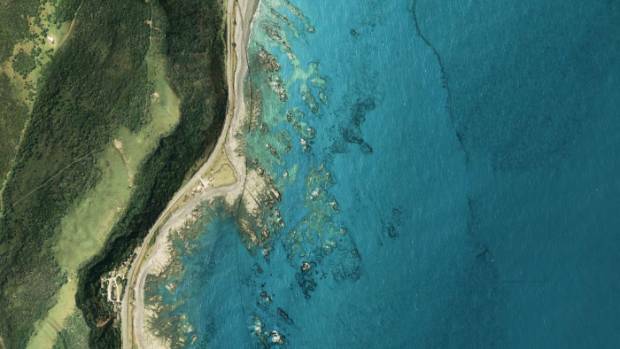 The maps, produced by Land Information New Zealand (LINZ), reveal an uplift in the seabed that wasn't there previously, according to LINZ spokesman John Summers. The uplift shown from another angle. An uplifted area has formed between two fault-lines also caused by the earthquake. 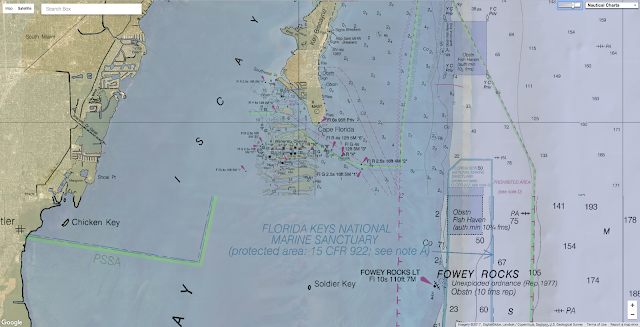 The area between two lines in the top left hand corner of the maps represent newly-uplifed sea floor, he said. The uplift shown in a vertical shot captured using 3D technology. "Everyone's heard about what's happened to the land, but this shows [the quake] has had a substantial impact on the sea floor too." Graeme Blick, Chief Geodesist for LINZ, said the information will ensure the safety of mariners. He described the images as "striking". Mariners in the area had been warned about potential uncharted hazards, which the maps help localise. "We're using this to understand what happened in the area to see if we have to update maritime charts," Summers said. The land surrounding Kaikoura was also altered by the earthquake. They look a lot like maps, but they’re bigger: giant sheets of paper. And they have a bunch of tiny numbers and symbols and colors on them. They show the coast as a mix of odd colors, and lots of tiny numbers in the water. 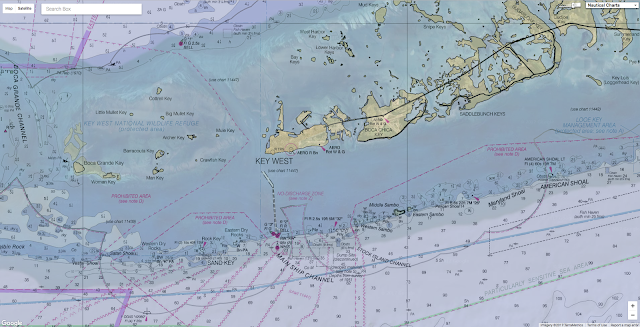 Welcome to the world of a nautical chart. Obviously, nautical charts were designed for mariners—mostly big ships—to find themselves safely to and from port. But even if you don’t own a sailboat, there are a lot of reasons to know what all those symbols mean. And you can make your trip to the coast even more fun. 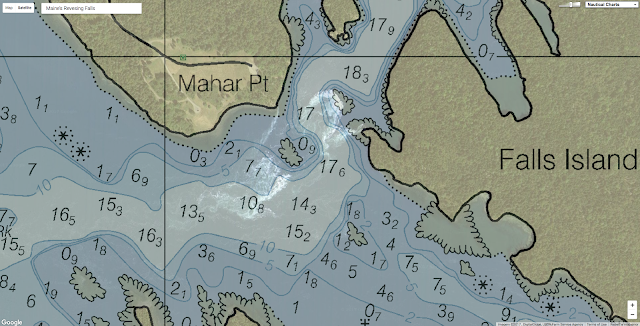 The first step to figuring out the puzzle of a nautical chart is figuring out what symbols mean. A set of weird looking triangles? A symbol like this * ? The numbers tell you the depth of the water at average low tide. The triangles are a set of tide rips, and the * is an undersea rock. Best of all, the secret code to deciphering all these symbols isn’t a secret at all. It’s all in a chart called “Chart No. 1” (like all US nautical charts) for no money whatsoever from the US government. With the mastery of a nautical chart, it’s easy to find coral reefs, tidepools, and other places where sea life gathers. Look for sets of rocks in shallow water where an olive-drab chart color (which means it covers and uncovers as the tide goes in and out) means that rocks will be exposed, and go at low tide. If there are some of those weird triangles nearby even better: tide races mean strong currents, which mean more marine life. Another rule of thumb: the more complex the undersea features look on the chart, the more stuff will live there. Likewise, you can use a chart—often better than a map—to find a new secret cove or a beach to explore. The chart will show you how much a beach will be walkable at low and high tides, and whether it will be an unbroken stretch of sand great for running, or a rocky complex shore with lots of interesting rocks and coves. Of course, you’ll need a tide table to figure out when to go there. A fishing-mad friend of mine who lives on the California coast claims that his most important piece of fishing gear is his chart. It tells him where the undersea rocks are, and how far down they are. As he told me, “There’s no point in dropping a lure in 12 feet of water is the rock is 14 feet down.” From the number of rockfish and cod he hauls up, he’s right. Charts will tell you where you can watch one of the ocean’s weirdest and coolest phenomena: ocean tidal rapid. Where ocean currents flow through narrow passes, they accelerate, forming a whitewater river….that reverses direction. They’re incredibly cool to watch, and attract everything from marine life to fishermen and whitewater kayakers. Some are famous, like Washington’s Deception Pass, Maine’s Revesing Falls, or the Straits of Messina between Sicily and Italy, that Homer made famous as the whirlpool Charybdis, in the Odyssey. And if you get in a small boat—any small boat: rowboat, canoe, dinghy, sailboat, kayak, or outboard—you’ll want to know how to read a chart. Best of all, reading a chart can also help talk like an old salt. Impress (or tease) your friends with phrases like “2 fathoms below mean lower low water” or “that lighthouse over there flashes every 39 seconds and is visible for 5 nautical miles”. They’ll stop rolling their eyes when they realize that you know where to catch fish, and they don’t. 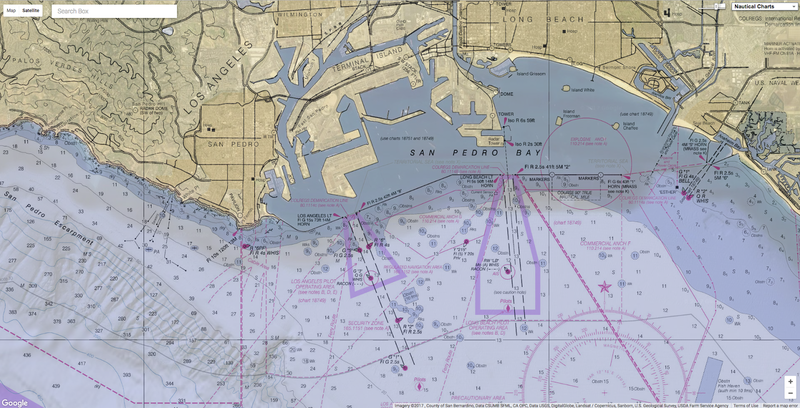 Nautical charts for anywhere in the US are free for download. The coast guard knows its cheaper to put them all online than to have to send out the chopper or rescue boat when you get in trouble because your boat ran aground or waded out into a quicksand mudflat you didn’t know was there. You can buy paper charts too–which cost a few bucks to cover the cost of paper and ink. DOF Subsea, Sonardyne, 2G Robotics, and Seatronics successfully demonstrated a new underwater surveying technique that could significantly shorten the time needed to map underwater structures and offshore sites. The new technique uses a 3D laser scanner fitted to an ROV to create highly detailed, point cloud images of subsea assets and environments. By combining the 3D laser data with precise underwater acoustic and inertial navigation information, it is now possible to generate centimetre resolution engineering models from which accurate measurements can be instantaneously and repeatably captured. When navigating poorly charted or unfamiliar areas, commercial ships, expedition cruise ships and naval vessels remain vulnerable to groundings and collisions with submerged objects. This is where underwater forward looking sonar technology provides a solution. 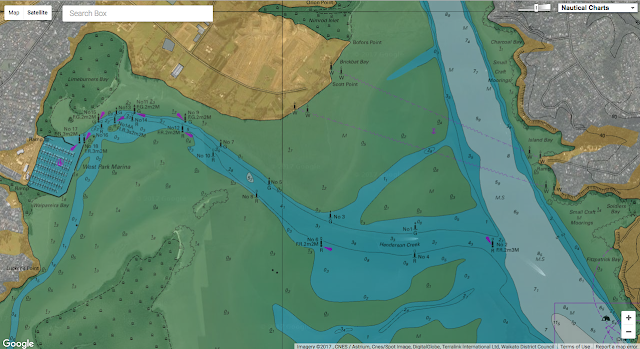 NOAS (Navigation and Obstacle Avoidance Sonar) works by scanning a wide area in front of a vessel with multiple sonar ‘pings’ to create a highly detailed, 3D model of the sea floor and water column along a vessel’s course. 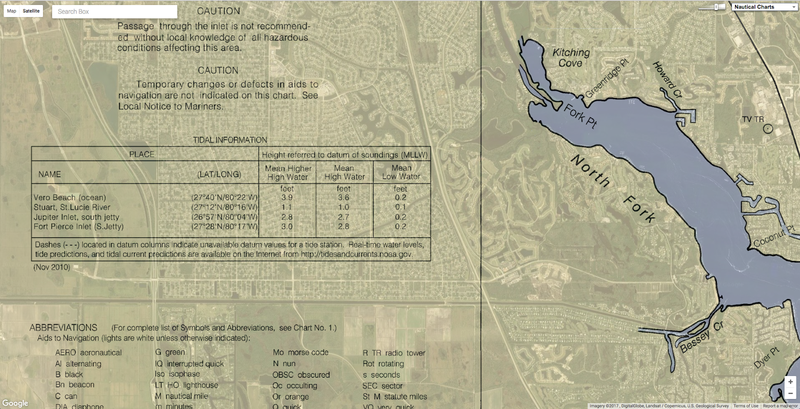 Water depth, underwater features and potential hazards to a range of up to 600 metres over a 90 degree field of view are displayed.